The past few days I spent a lot of time on migrating the blog from dwotd.web-log.nl (which still seems to be unreachable) to www.dwotd.nl. This inspired me to choose ‘dat heeft heel wat voeten in de aarde’ as this week’s phrase 🙂 Literally ‘that has a lot of feet in the earth’ this phrase says that something will be difficult (labour-intensive, but possible) to realize with quite a few hurdles along the way. – Aarde: earth, ground [noun] [de aarde, <no plural>]. 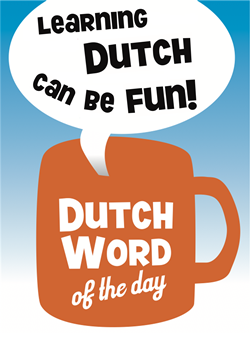 This entry was posted in Dutch phrase of the week, DWOTD 1.0, Vocabulary Intermediate and tagged aarde, dat heeft heel wat voeten in de aarde, voet, voeten by Sander. Bookmark the permalink. Bedankt voor deze, ik vind het een leuke uitdruking! haha, well, I have my back-up server running on Linux, which my Mac now also refuses to talk to! It’s criminal!